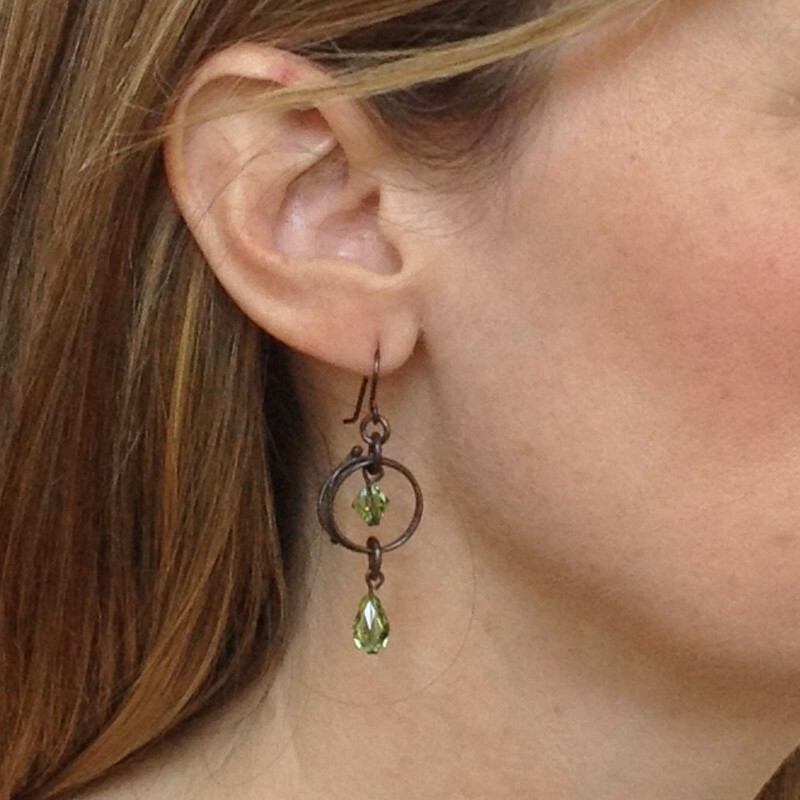 Sterling silver antiqued hoop earrings with swarovski green crystal beads and briolettes. Vintage inspired hoops get a fashionable twist. 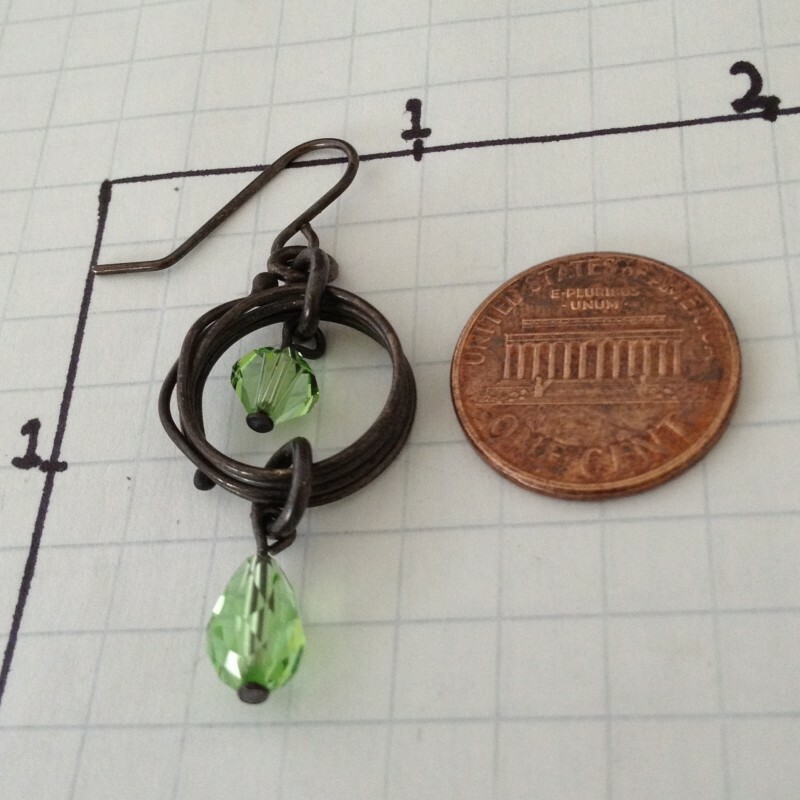 Several rounds of oxidized sterling silver wire form small circles. 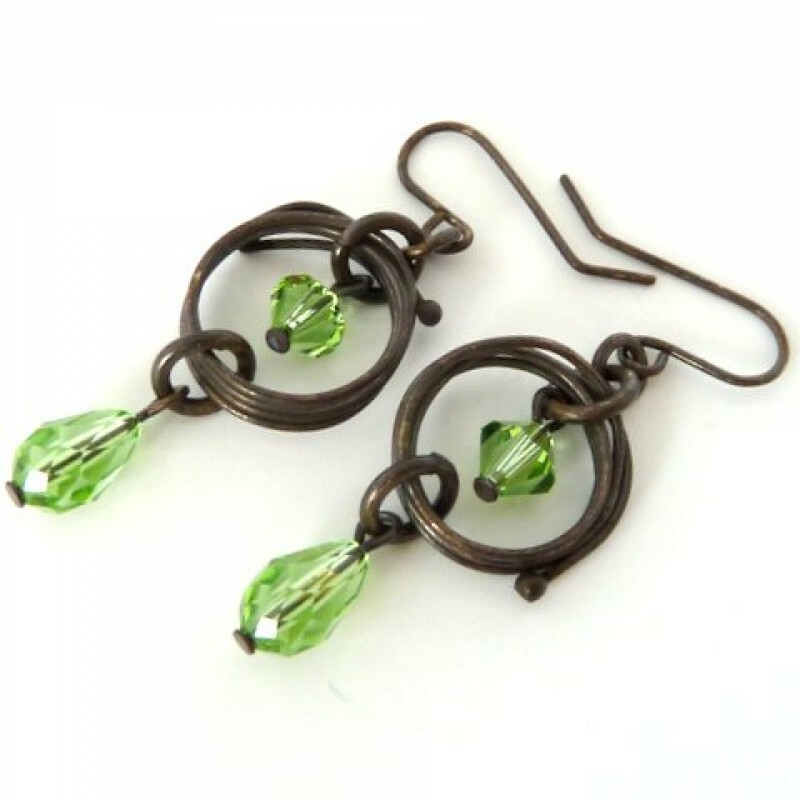 Swarovski green crystal beads and briolettes stand out in contrast to the blackened silver. 1 3/4" long.